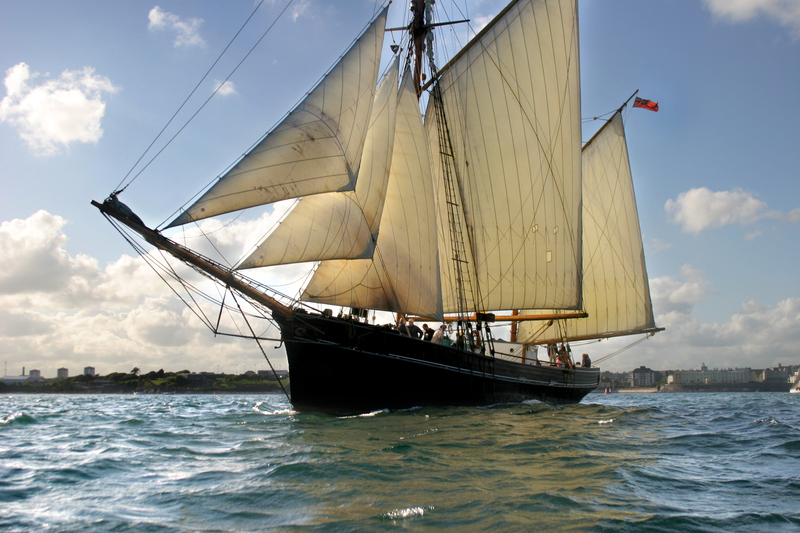 BESSIE ELLEN is one of the last west country ketches from a fleet of nearly 700 vessels. She was built as a speculation (or ‘chopping block’) between 1904 and 1906 to keep the shipwrights busy between other work, at the Mountbatten, Plymouth, yard of William Kelly. She was purchased off the stocks by John Chichester, a north Devon home trade captain who registered her at Barnstaple in January 1907. 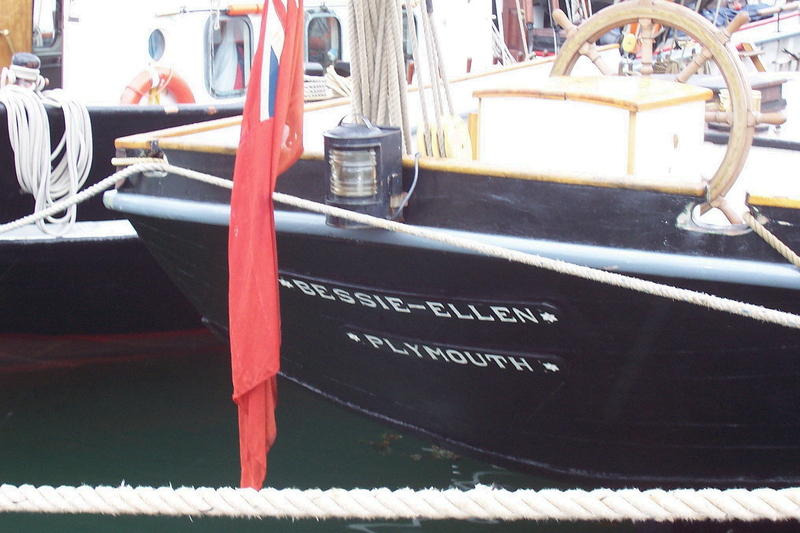 She was named after the owner’s two daughters, who launched her on 3 January 1907, Bessie (aged 13) breaking the wine bottle on the ketch’s bow whilst Ellen (11) named her. 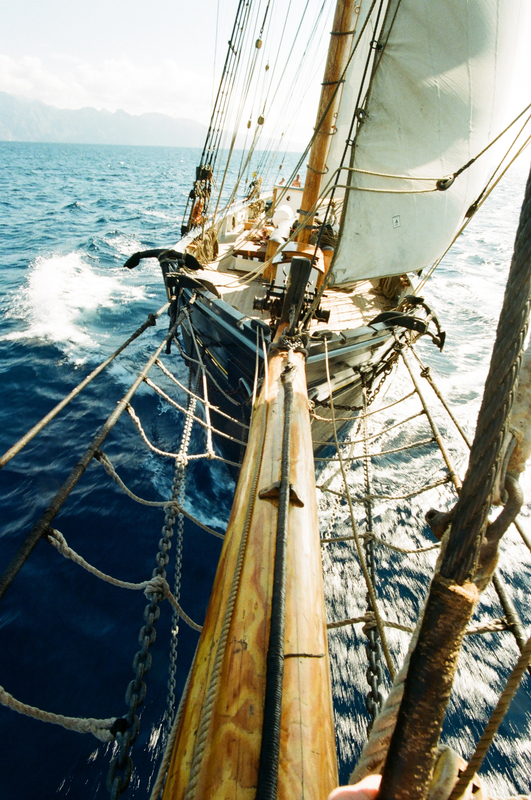 The hull was of carvel construction with frames (7½” x 6 “), stem, sternpost, and deadwood of oak, planking of pitch pine and elm, deck and ceiling of pitch pine, and keel and keelson of greenheart, and was fastened with treenails and bronze and iron nails. 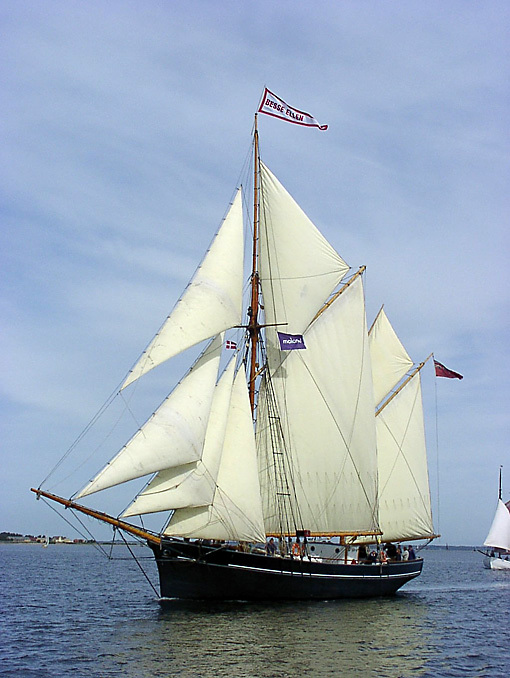 BESSIE ELLEN was probably designed for the Newfoundland salt fish trade, and with a fine clipper bow and a counter stern she had the appearance of a fast sailer. Captain Chichester used her to carry bulk cargoes, such as clay, coal, salt, peat and aggregates, around British and Irish waters, and occasionally cross-channel. Her hold could take 150 tons of clay. 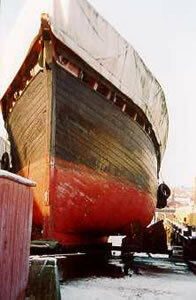 The ketch’s first cargo, 128 tons of manure, was taken from Plymouth to Bideford. In January 1910 she hit the Morte Stone in the area of treacherous currents around Morte Point and sustained severe damage to her keel. After temporary repairs at Illfracombe she was towed to Appledore for what were hoped to be permanent repairs. 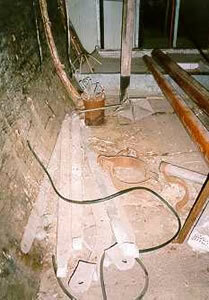 However she continued to leak and had to be taken in hand again at Appledore some years later. In 1916 a second-hand 25 hp Widdop paraffin engine was fitted, and the main topmast was removed, stepping a pole mast instead. Bessie Ellen then worked the coal trade from Lydney and Newport to Appledore and Lyme Regis. After the First World War Chichester secured a contract to take army-surplus barbed wire from Gloucester docks to Briton Ferry for melting down. 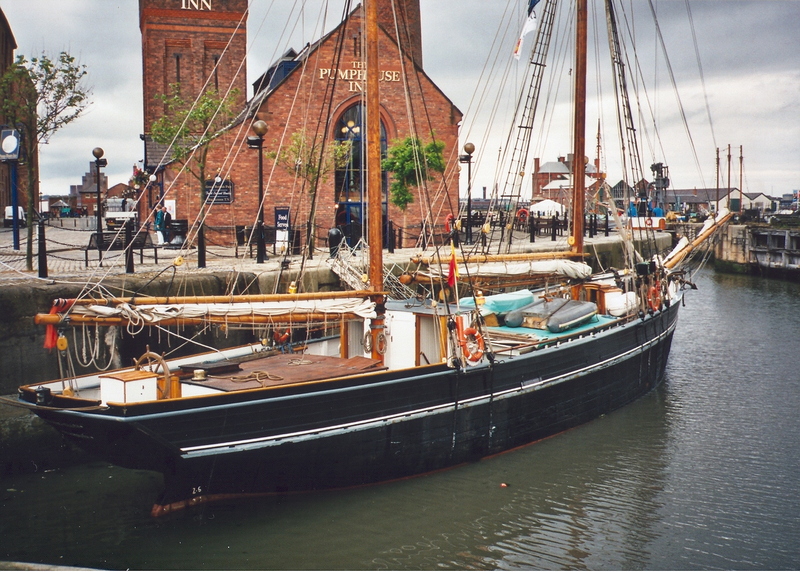 It was whilst in this trade, in May 1920, that John Chichester was tragically killed when he was crushed between the stern of his ketch and a following barge as BESSIE MAY was being worked into the Sharpness lock. His wife Bessie was at that time living aboard with her fragile young son Reuben, whilst her older son Jack was one of the two deckhands. An urgent message from the distraught Bessie to Braunton brought the temporary help of an experienced seaman, and Jack Chichester took over as captain until 1926, when John Chichester’s brother took over. Bessie took on the management of the vessel and organised the cargoes, continuing right up until the end of the Second World War. 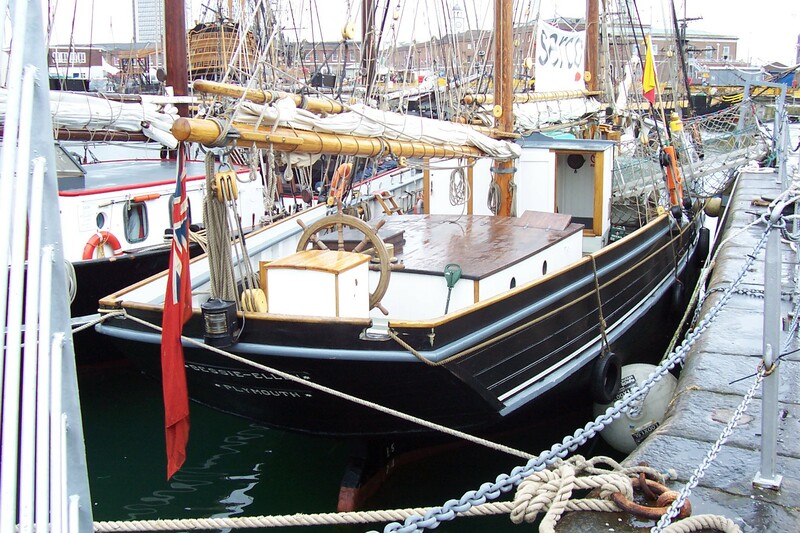 In 1947 BESSIE ELLEN, no longer economical in the home trade, was purchased by Captain Christian Moller, from Frederiksvaerk in Denmark and renamed FORSOGET (Endeavour). He took a cargo of china clay from Charlestown to Denmark on her delivery voyage. Moller used her in the scrap iron trade and during his ownership the rig was cut down and a large Hundested single-cylinder engine installed. 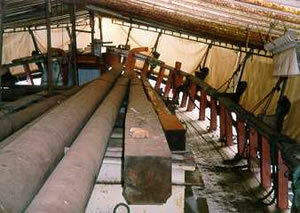 The deck beams were cut and a much larger steel hatch was made so that the cargo could be unloaded by machinery. 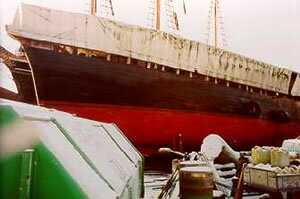 Captain Moller continued to run scrap iron cargoes until the late 1970s when he laid the vessel up. 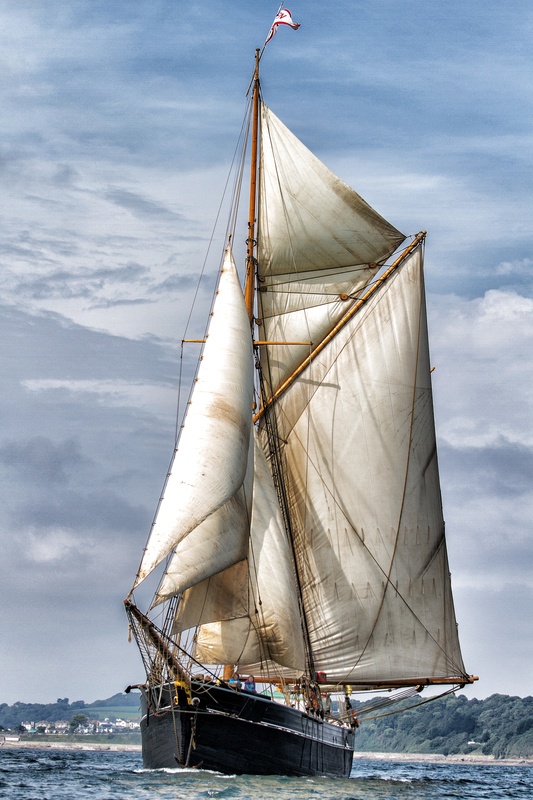 Soon afterwards Ole Pietersen purchased her and began to convert her back to a sailing ketch. After major timber replacement he found that due to his age and finances he could not complete the project. The vessel was towed to Svendborg and laid up in the shipyard of J Ring Andersen where she was offered for sale. She lay there for 20 years with little interest shown. 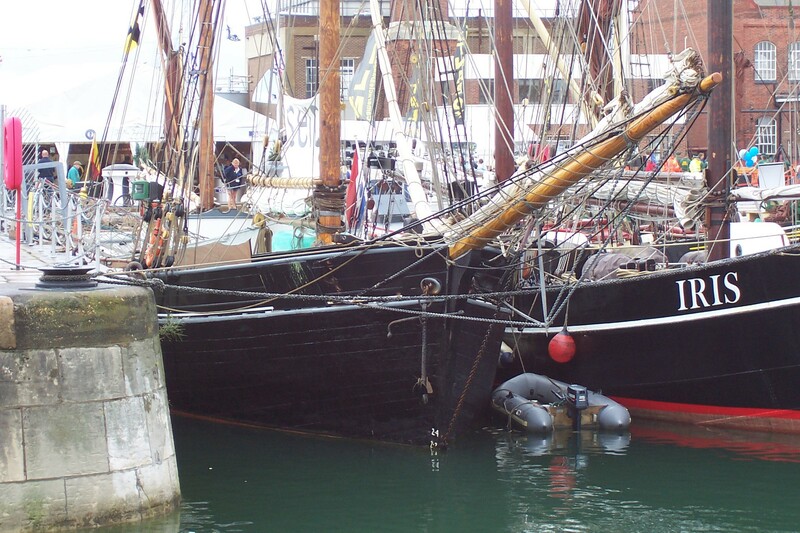 Then, in May 2000, she was purchased by Cornish tall ship sailor Nikki Alford. 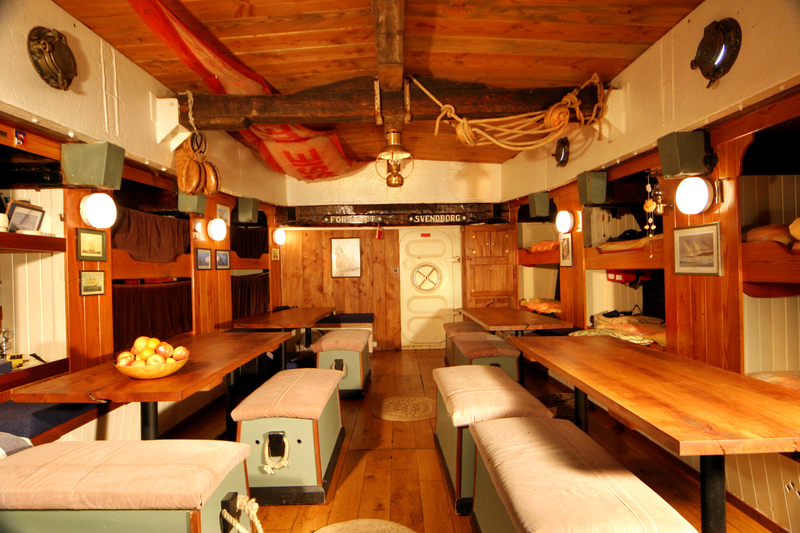 The shipwrights from Ring Andersen replaced 197ft of planking and fitted the deck planks that had been cut for her 20 years earlier. The bulwark planking and capping rail were replaced and the hull made watertight, and a Volvo engine (dating from about 1967) was installed. 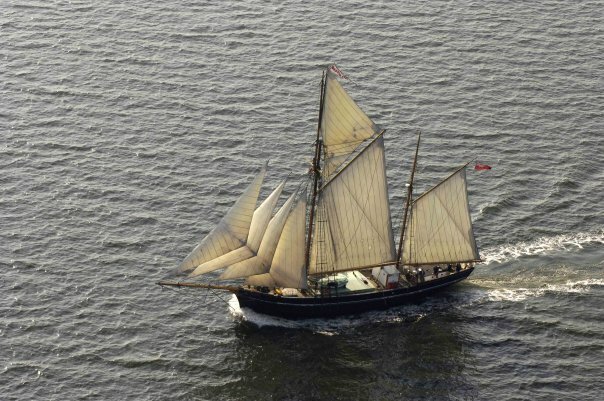 In May 2001 BESSIE ELLEN sailed back to Charlestown, Cornwall under a jury rig, and then moved to the Cattewater, Plymouth, for further restoration and re-rigging. 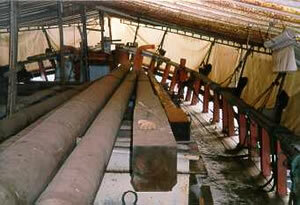 A new Douglas fir mainmast was made and sails were cut by James Lawrence, of Brightlingsea. 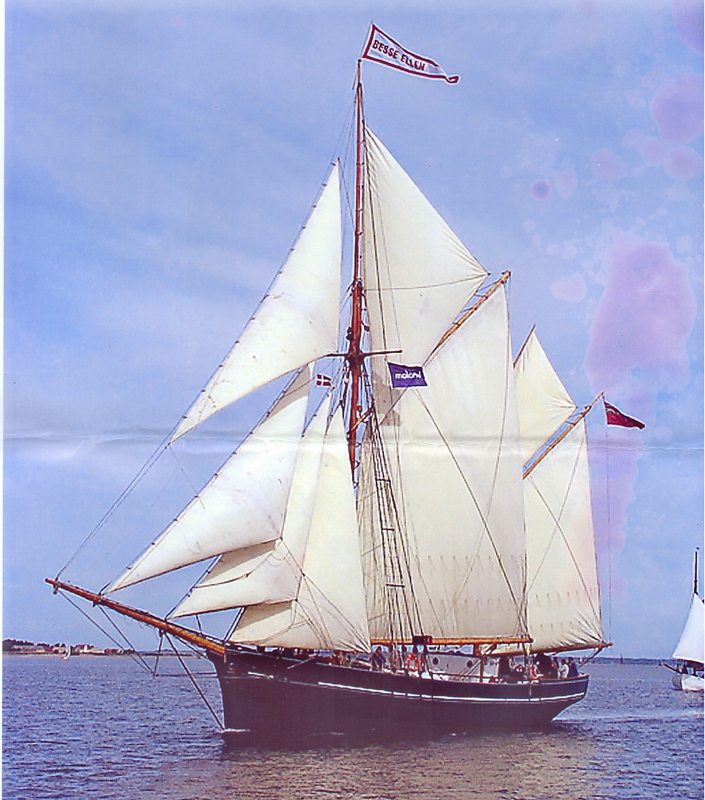 She sailed again in summer 2002, and began charters in 2003.